A small mistake may lead to the failure of a project, so it is necessary for related injection mold makers and engineers to have a final checking before mold making project start, make sure all the critical aspects well noted, by good communication, reach a final agreement with customer as well. This can massively reduce the possible failure and rework afterwards. Following aspects should be paid attention for it. 1.3D drawing needs to be checked if it is well completed, it will be used for 3D mold design and CNC programming. If 3D drawing is not available, physical sample/prototype must be provided, both part and injection mold drawing can be created based on it. 2D drawing must be needed when there is precision requirement of the part. All necessary data are supposed to be ready. 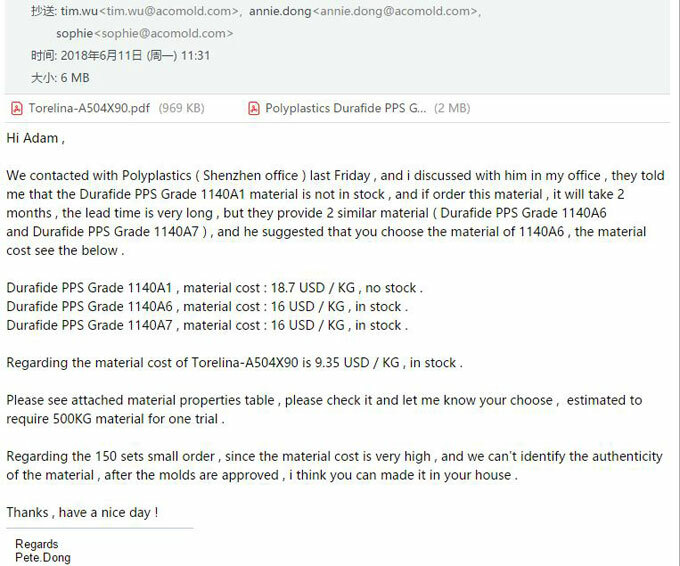 2.Check the tolerance specified on the 2D drawing, if any of the tolerance are not able too accomplish, customer are supposed to be notified, it is a stuff when you noticed it after the mold is completed. 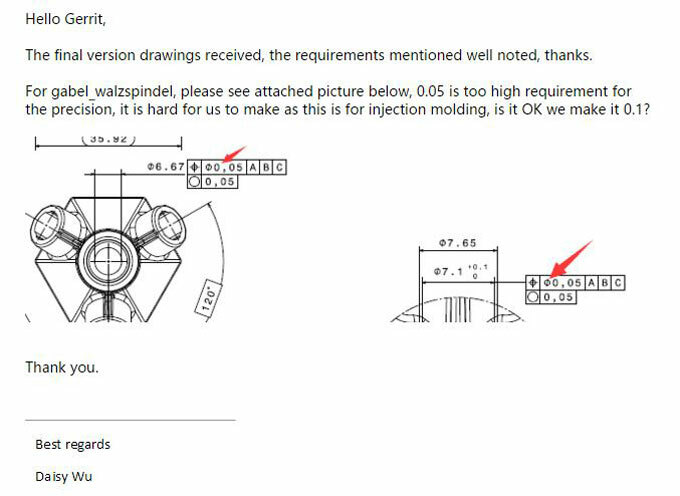 For example: 0.05 tolerance is hard to make for the injection molded part, in this case, we can propose customer to use a workable tolerance that is easier to achieve but will have no affect on the assembly of the parts. Finally customer accepted our proposal. 3.Check and confirm the resin that is going to be molded for mass production with customer. If common resin used, we can purchase it on behalf of customer. If very special resin required which is not available in our local resin market, customer should be informed, we need to figure out together the place of origin and get the material data sheet, the best solution is customer provide the resin in certain batch for sampling, shrinkage rate of material should be settled down as well, since this is highly related to the mold design. This special resin is out of stock in our place, so we provide a quote and propose our customer to choose alternative resin. Finally we reached an agreement that the material of sampling provided by customer. 4.To ensure the product design is able to be manufactured well, go through all details with customers before injection molding making, such as parting line, gate point, surface, wall thickness, undercuts etc. This would short the development time, and avoid reworks afterwards after the mold is completed. The pass of information in between may be get wrong, pay attention to the critical aspects and deeply understand the demands of customer by good communication are important factors to bring the success of project.